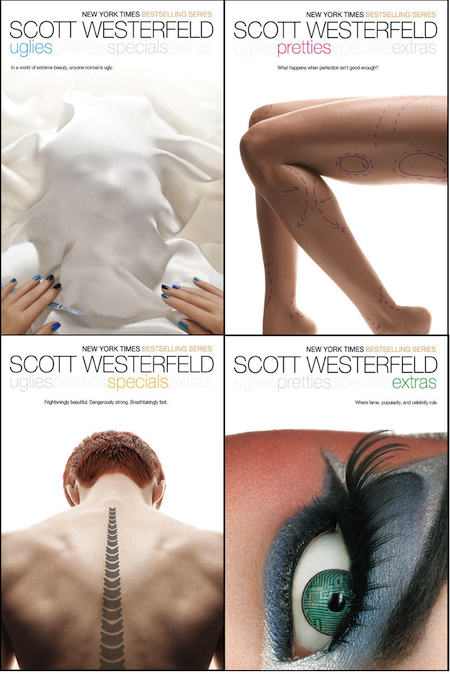 At least you are ugly if you refuse to bend to society’s norms in Scott Westerfeld’s series! Scott David Westerfeld (1963 to present) lives in Australia and New York City. His young adult Uglies series has more than 3 million books in print and spent many weeks on the New York Times best seller list. It is an international best seller, translated into 27 languages. The first book in the series, Uglies (2005) takes place in a futuristic society where everyone is ugly until they turn 16 and undergo an operation to make them meet society’s definition of pretty. Tally’s friend, Shay, leaves the city to join a settlement of people who choose to remain ugly. Tally is forced by authorities to either give up Shay and her compatriots or remaining ugly forever. Other books in the series include Pretties (2005), Specials (2006) and Extras (2007). In Pretties, Tally approaches 16 and learns that turning pretty comes at a terrible price. In Specials, Tally is turned into a Special with extra strength and speed. She is charged with stamping out the rebels. Will her small voice shine through to save her friends? Extras sees a “cured” society where your popularity is everything. 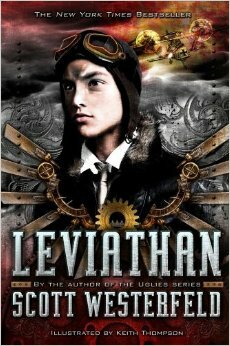 This is an excellent series that will make you question standards and the society that dictates them. Another Westerfeld series that I really enjoyed is the Midnighters trilogy – The Secret Hour (2004), Touching Darkness (2005) and Blue Noon (2006). This series turns small town Oklahoma on its ear when the town freezes at night except for a handful of Midnighters. Through the series they search for the secret of why this is happening and are in constant peril during the day. In the final book, everything is shaken up when the town freezes in daylight.